Channeling your ki energy into your palms for a Hadouken is a lot harder than it looks. We've tried and tried to replicate Ryu's signature move from the Street Fighter series, but to no avail. We aren’t sure why we are struggling so much with this skill, but practice makes perfect, right? After we tried a few hundred times, we realized that maybe it’s all about the right mindset. To perform his special moves, you really have to think like him. You act like him, and most importantly, you have to look like him. With this tattered gi outfit, you feel like you're ready to step into the ring with M. Bison. 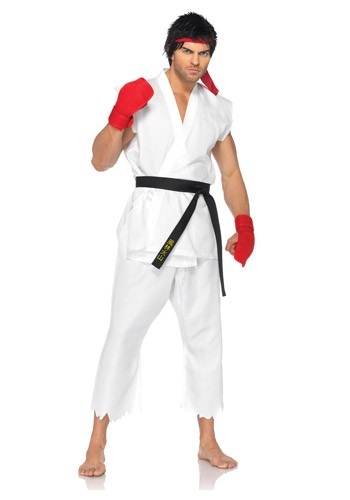 This Ryu costume is an officially licensed Street Fighter costume and is perfect for Halloween or themed parties. You’ll be ready to take on the tournament of champions in this Ryu costume. The white gi top has ties on each side and a jagged trim for an authentic look straight out of the video game. The black belt with yellow kanji writing is 96” long so you can get the perfect look around your waist. A red headband accents the black and white of the gi outfit and the matching hand pads have elastic under the palms for a comfortable fit. These hand pads will truly set your Halloween costume apart from others. 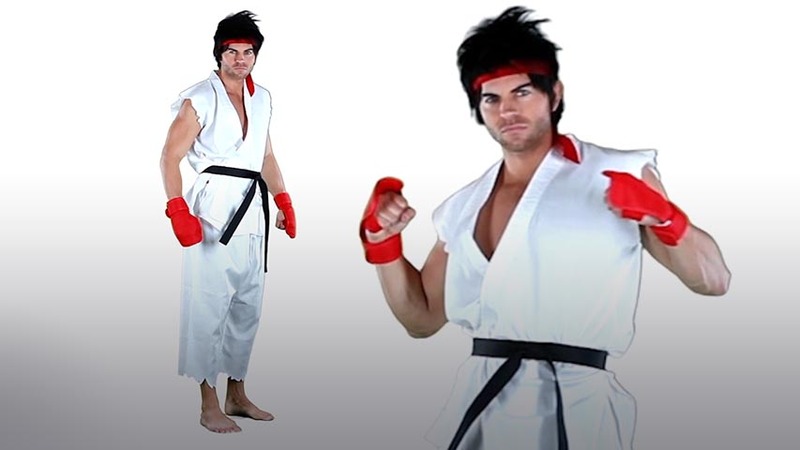 While we can’t promise you’ll have everything you need to perform Hadouken, we can guarantee that you’ll have a great time out with friends when you wear this Ryu costume!